Management Team – SATIN CREDITCARE NETWORK LTD.
A law graduate and fellow of The Institute of Chartered Accountants of India since 1984, Mr. HP Singh has over three decades of microfinance experience to his credit and is responsible for pioneering the unique concept of daily collection of repayments of loans. 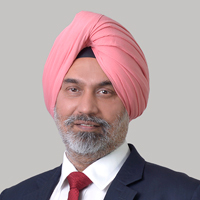 Aside being an expert in lending, particularly in the microfinance field, Mr. Singh also has a wealth of experience across auditing, accounts, project financing, advisory services and company law matters. It is his financial engineering acumen, honed over almost thirty years of experience that has helped SCNL achieve its success in operational strategy and efficiency. Mr. Singh also participated in Harvard Business School’s Accion Program on Strategic Leadership for Microfinance in 2009, as well as the leadership program organized by Women’s World Banking at Wharton Business School, University of Pennsylvania in 2011. Mr. Singh has been an inspiration right from the very beginning when the company came into being in 1990, till today where he continues to be actively involved in the company’s day-to-day operations. Under his leadership, SCNL has grown into one of India’s leading microfinance institutions in the North and is poised to further expand its operations across the country. Cost Accountant, Chartered Accountant and Company Secretary with about 27 years of experience, Mr. Kataria is a graduate of the renowned Shree Ram College of Commerce. Aside from completing an Internal Auditors training course for ISO 9000, he was a part of the HBS Accion Program on Strategic Leadership for Microfinance and the leadership program organized by Women’s World Banking at Wharton Business School, University of Pennsylvania in 2011. Prior to joining SCNL in 2000, Mr. Kataria worked with prestigious brands such as Apollo Tyres and Berger Paints to name a few. Mr. Verma has done his graduation in B.Com (Hons) from Delhi university and MBA in Marketing from IILM, Delhi. He has 21 years of experience across various industries like Consumer Durables, Financial Services, Insurance and Microfinance sector. 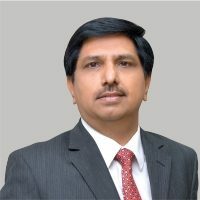 Mr. Verma has worked with the likes of National Panasonic India, Citi Financial Consumer Finance and Max Life Insurance; his last assignment before coming aboard the SCNL team was with Bharat Financial Inclusion Limited (formerly SKS Microfinance), as the company’s Vice President. At SCNL, Mr. Verma has spearheaded the transition into new products, policies, processes by leveraging on technology and also entry into new geographies. Mr. Mahajan holds a Master’s degree in Math and PG degree in Computer Science & applications from Punjab University. He has over 27 years of experience in the Information Technology industry, working with multiple companies across the world. 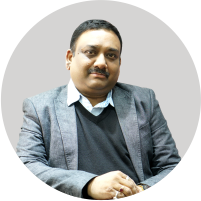 Mr. Mahajan joined SCNL in January 2016 and has since been instrumental in deploying cost effective IT strategies, as well as leading and establish both new and restructured business solutions. Mr. Mahajan was previously working as Global IT director with Bata India Limited and his career spans some of India’s biggest companies including YUM Restaurants, Procter & Gamble (India & Singapore), Gillete India, Eicher Tractors and Punjab Tractors Ltd.
With a PGDHRM from IISWBM, Kolkata and a B.Com (Hons) degree from Kolkata University, Mr. Chowdhury has spent 21 years in the HR industry and across its functions. He is also a Gallup certified Strengths Coach. 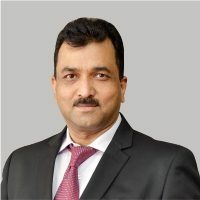 Mr. Chowdhury joined SCNL in April 2016 as Chief Human Resource Officer, prior to which he was working with Magma Fincorp as Business & Corporate HR Head – he was responsible for initiating the competence framework, talent management, succession planning, PMS & Total Rewards at this organization. Before this, Mr. Chowdhury also worked with ICICI Securities, ICICI Prudential Life Insurance, Magma Leasing, Wacker Metroark Chemicals and Kotak Securities. Mr. Sengupta, Alumina of IIM Ahmedabad, ICWAI , PG In Taxation Laws from Punjab University Chandigarh. 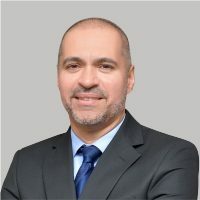 He has over 23 years of experience Extensive exposure across a gamut of areas including Strategy & Leadership, Revenue Generation, Branch Management, People Engagement, Business Development, Process Improvement and Operational Excellence. 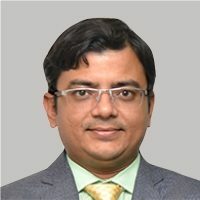 Mr. Sengupta joined SCNL in June 2018 and has since been instrumental in deploying Risk management frameworks, cost effective strategies for executing complex processes, The structure of Audit & Compliance with digitization of the Process . The risk team under him is also involved in collection through, non-conventional means . 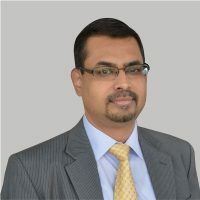 Sengupta was previously working with Alpic Finance , HDFC Bank, ICICI bank Ltd , Barclays bank PLC , Bharath Matrimony .com , Jana Small Finance Bank. Mr. Runveer Krishanan joined SCNL in 2012. He is graduate with accounts (honors) from RPS College, Magadh University. He completed Company Secretary qualification in 2007 and Law degree from Patna University in 2009. He is ICWA finalist also. He worked with Tinna Group of Companies, Oriental Group of Companies and Phoenix Group, etc. He independently led to listing of some companies with BSE & NSE in his career. He is Securities and Exchange Board of India (SEBI) and National Institute of Securities Market (NISM) certified “Financial Education Resource Person (FERP)”. He has more than 11 years of secretarial, legal and financial experience. He carries with himself a profound understanding of all Regulatory, Control & Legal frameworks under various laws like Corporate Laws, SEBI laws, RBI laws, IPR, IRDA and NHB. He acts as an advisory to the Board of Directors and Senior Management on good governance practices and compliance of regulations and guidelines under applicable statutes.